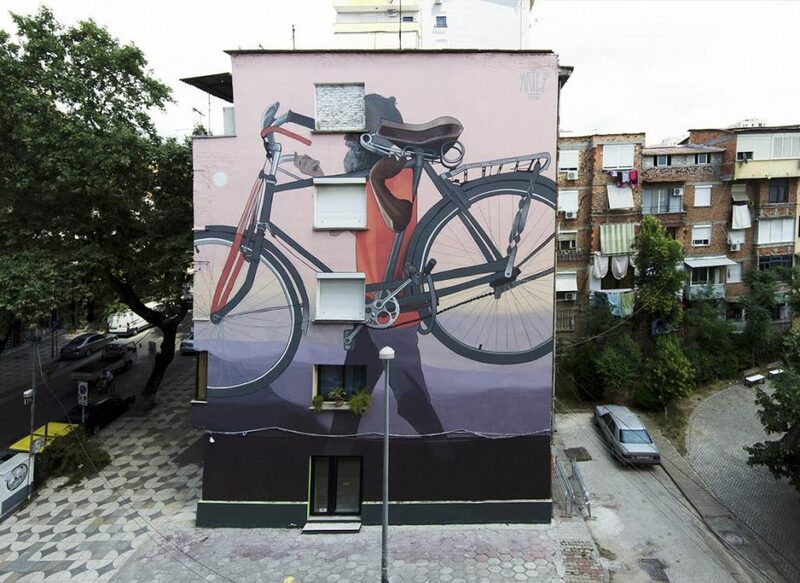 Tirana, Albania: new piece by Serbian artist Artez for a project curated by Santa Cruz, Capital del Color. 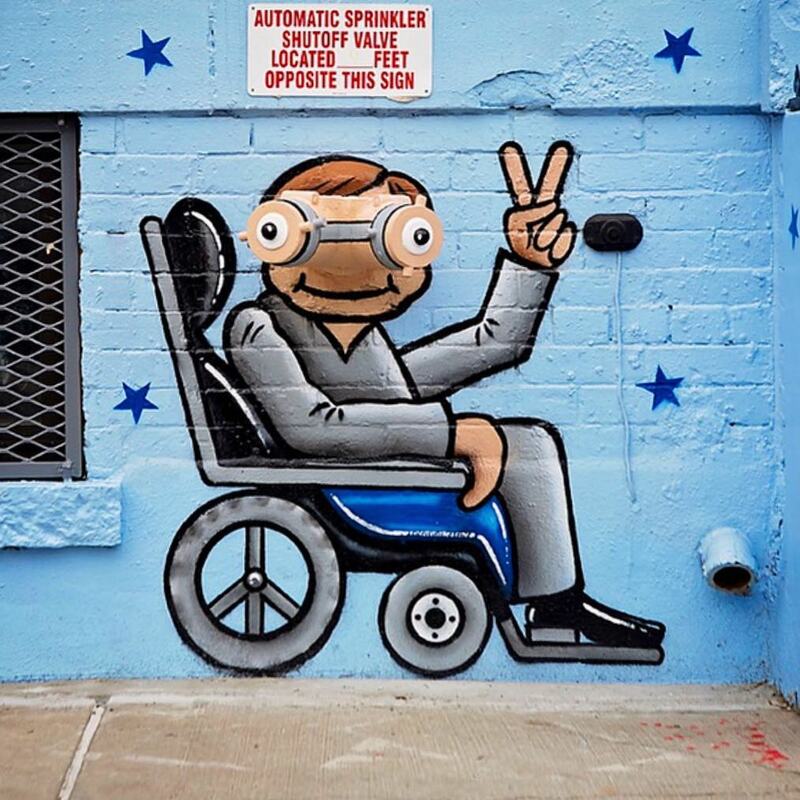 Stephen Hawking by Tom Bob. 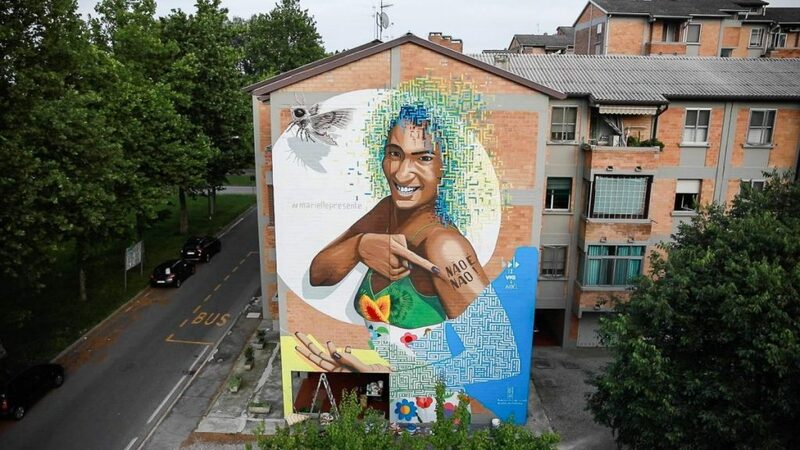 Ferrara, Italy: tribute to Marielle Franco by Italian artist Alessio Bolognesi.